This post is part of a series – “31 days of Pinterest: Pinned to Done” You can read all the posts in this series here. And to make sure you don’t miss anything you can sign up to have every post sent to your email, follow me on facebook, or subscribe in your reader. Homemade Taco Seasoning. Simple and easy to make (literally took me 2 minutes to mix it up). Don’t know why I have waited this long to make it. Why homemade you ask? Well, I think over time it might be a little cheaper then buying the mixes. Plus the mixes always don’t agree with my husband’s stomach so I have stopped using them and we have stopped eating tacos as much – sad, cause I love tacos. And lastly because I really want to work on taking steps, might be baby steps, to having a healthier home. Less preservatives, chemicals, toxins and more natural, homemade, and healthier. 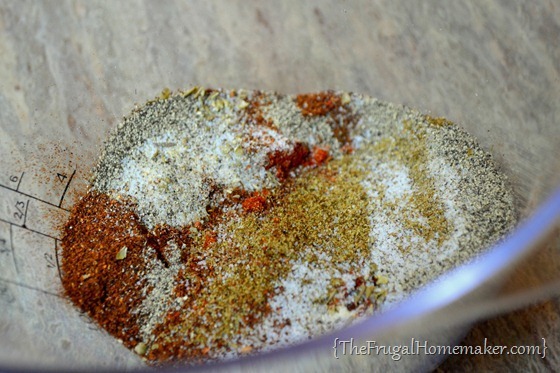 So here is baby step #1 towards that – a homemade seasoning mix. You will need a variety of spices and I had to buy several to either replace old ones in my pantry or because I didn’t have them on hand. But in starting to try to make more things from scratch I am sure I will be using them more. I actually quadrupled the recipe. I just asked Christa this week if she was still liking it and I knew if it was good we would use a lot of it. So I mixed it up the other night and tried it out in Traci’s Taco Soup. 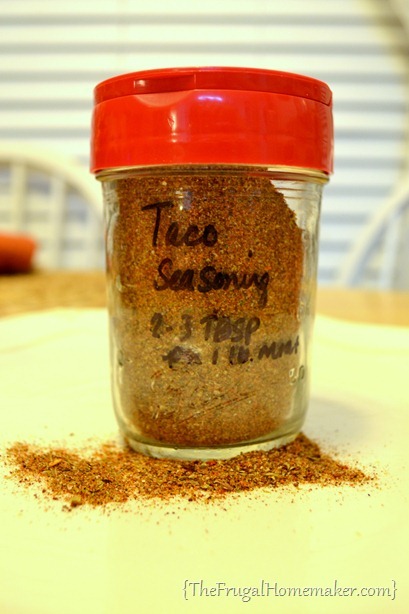 It was yummy and tasted as good, if not better than taco seasoning packets. And I also use it as chili seasoning too. 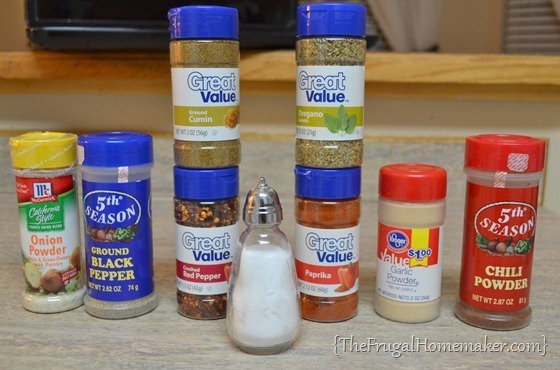 Just adjust the amount of seasoning you put in to your taste. I am storing mine in pint Ball jar. Did you know that the lids from Parmesan cheese containers fit on regular mouth ball jars perfectly? Oh yes they do! So I have been saving mine to use just for something like this. How about you? Do you use any homemade mixes in your home? I would love to know! 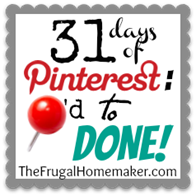 I have started a Homemade and Healthier Living board on Pinterest that I am collecting things for me to try and implement into our home gradually. 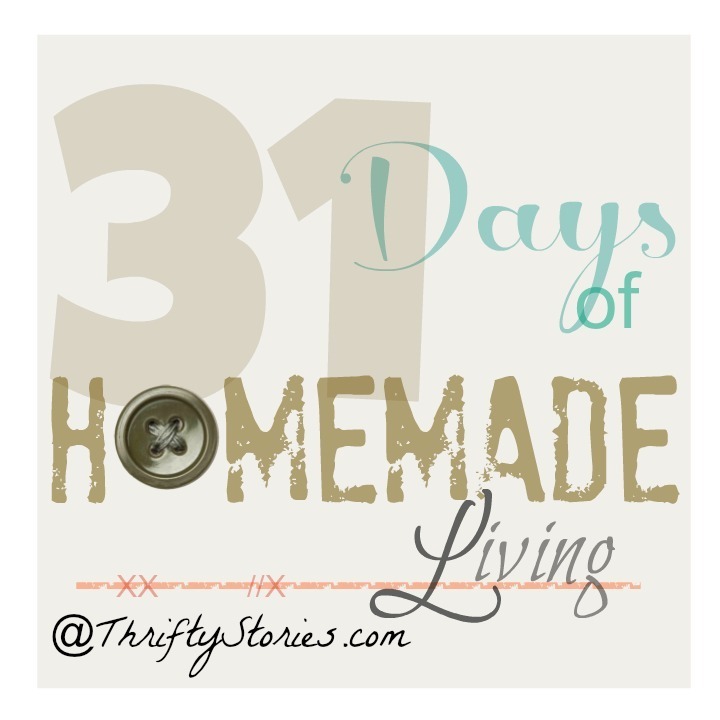 I am joining Nester from Nesting Place in writing a 31 days series in October. 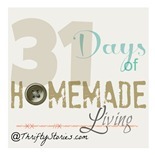 You can see all the other hundreds of people writing a 31 days series here. 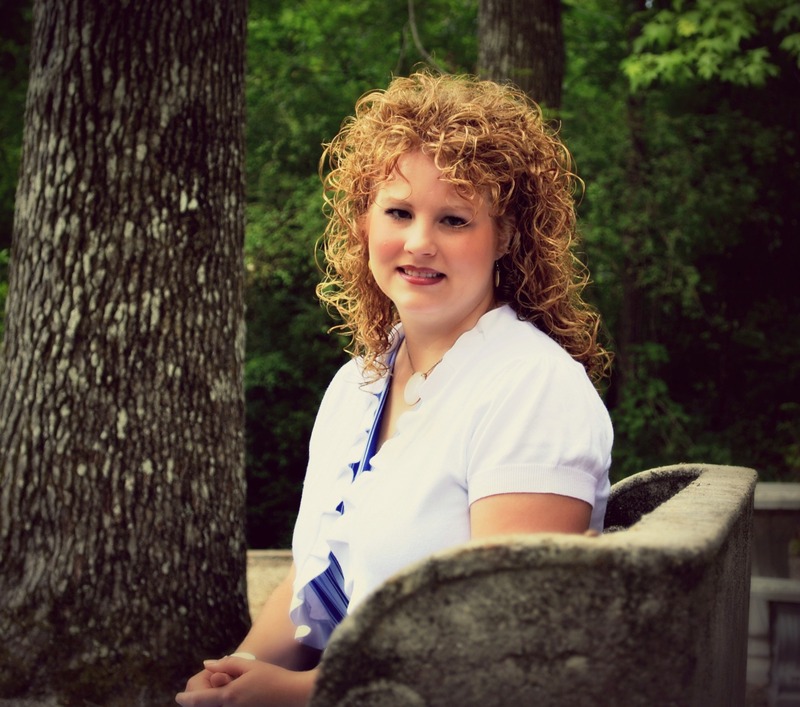 And I am excited to have 3 blogging friends join me in the insanity! Check out their series by clicking on the buttons below. And my sister-in-law is joining along too! Writing about their transition as they move across the country with four children. Good for you, Christina! Baby steps are the only way to do it without getting overwhelmed and giving up! Keep at it and things will start to seem normal to you and you won’t remember a time when you used to eat ____ or clean with ______, etc. Wow! Thanks for the tip about the lids fitting on Ball jars. I live in Canada and we have a store called, “Bulk Barn”, that sells bulk food items (such as spices, candy, dry goods, etc.) at a fraction of the cost of purchasing items at the grocery store. I can fill up my spice jars for cents worth of spices. For my spices I use Tupperware spice containers (purchased years ago), reuse glass spice jars (from when I purchased them in the grocery store), and I also garage sale-ed a set of really nice glass spice jars. 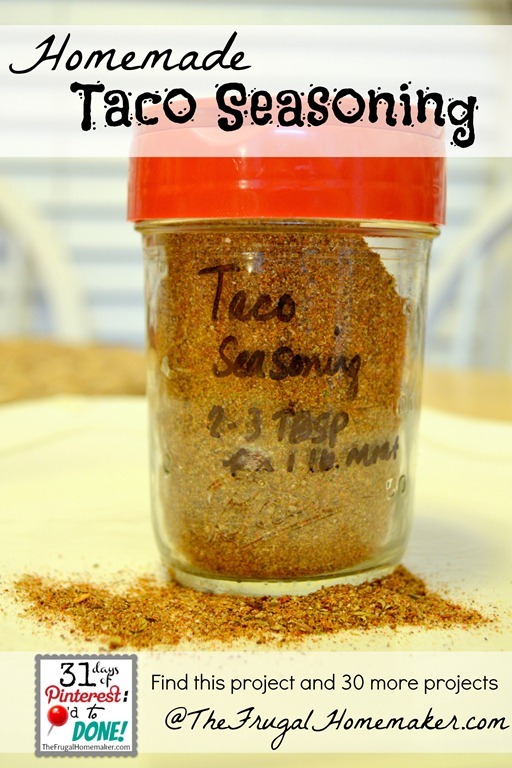 I’ll try the taco seasoning! Why purchase packaging and “other” ingredients. Thanks Christina! 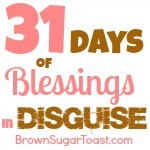 I’m lovin’ your 31 day series!! Excellent, excellent idea! I have chicken fried steak seasoning on my shopping list. Instead I’m going to go look up the ingredients it takes to make it. Thanks for the wonderful idea! I love making my own mixes and this sounds very easy. I also always have those ingredients on hand. I’ll be pinning this and making it for sure! Thanks for the link and recipe. Neat idea and I did not know Parmesan cheese lids fit on mason jars! I save mayo lids and peanut butter lids but never thought about that! Thanks for sharing the recipe! It’s as if you’re reading my mind of my “to try” list!!! I have been making my own poultry and italian seasons, storing them in small mason jars. And, I also reuse glass spice jars from purchased spices. Our local health food store sells bulk spices inexpensively. I have not measured my mixtures, leaving the amounts used to taste..
Poultry seasoning I use parsley, sage, rosemary, thyme, minced onion. For the italian seasoning I use basil, oregano, minced onion, garlic powder, parsley, and a small amount red pepper flakes. I add salt and pepper later to my cooking. My daughters and I have used the italian seasoning in omeltes and scrambled eggs. Delicious!! Thanks for sharing this recipe. We have to be careful of MSG at our house…plus the packets of seasoning mix are SO expensive. It’s crazy! This looks like a perfect option to us. I will be mixing up a batch this weekend as we have ‘tacos and taco salad’ on the food plan for Saturday!